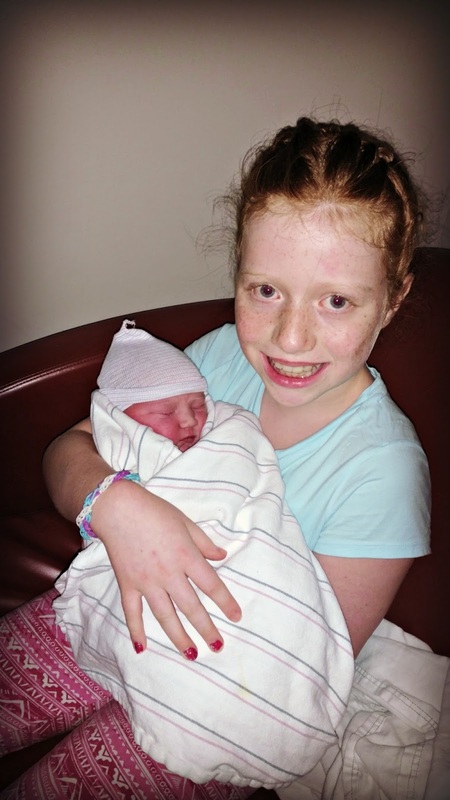 Libby had been saying her evening prayers, thanking her Heavenly Father for the sweet blessing of a baby sister. She said that as she shared her heart with God, she was overwhelmed with emotion for her little sister. She said she just kept telling God "Thank you, Thank you, Thank you" for a baby sister. She said that it started to make her cry because she was so happy and thankful we were going to be blessed with a new little baby in our family. This brought tears to my mama eyes. I couldn't believe the sweet love Libby had for a sister she hadn't even met yet. Miss Tallia is an answer to many prayers that our family has prayed over the years. I am so thankful for these sweet moments with my babies. I feel truly blessed to be able to be their mama. They are little balls of challenging energy, but they make life so worth living. I don't want to forget these sweet moments. Oh what sweet blessings they truly are!